One of the earlier pioneers in mobile development (5 years before the first iPhone), I have developed mobile games and applications since 2002 using a wide range of technologies and applying my creative talents on both the engineering (coding) and visual (UI) challenges that exists in this growing segment of development. Today, nearly all new development is utilizing a mobile-first design philosophy - my many years of experience and knowledge with mobile design is a vital asset for any development project. Of course, nearly all applications developed today require some sort of cloud component. Both web-apps and mobile-apps require a centralized architecture that can store large amounts of data and perform at very fast speeds which can scale with your deployments. Knowing how to connect both the front-end (user application) with the back-end (cloud services) is crucial to any successful project. Furthermore, keeping on top of the ever changing tech eco-system and ensuring that all the technologies chosen are perfectly matched to grow with your business, is one of my specialties. These are just some of the project work I have been involved in over the years. The complete list can viewed on the client list page. Dog Park Buddy is a social app developed to build community at dog parks across the country. It was developed and funded by Segue Development and was created entirely using a single stack of technology. It is released first on the iPhone. The Android version is coming shortly. MDirectory was a healthcare information business that connected doctors across the country with each other. The application provided a quick and convenient way for a physician to look up another physician's office number, send an email or text-message (including SMS), find directions, print out a referral document as well as provide many other useful tasks. InterfaceGO was developed for MB DataSytems. Through this one device a user could control the lighting, heating/cooing, and security systems. This device communicated through WIFI and was able to synchronize to an editor application (also developed by Segue Development). 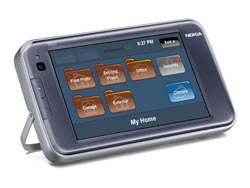 The hand-held device was a Nokia N800 running Maemo. MetronomeOnline was developed for direct sale over the internet and installable on an array of phones. The mobile application was developed to employ different skins/themes and ran on J2ME compatible devices. Super Happy Fun Fun (now Merge Interactive) contracted me to develop a mobile game called GUnit Stuntin. The biker raced around one of several different tracks and competed for speed, combat and stunts. It was a J2ME application that ran primarily on Sony mobile phones. Maui Games developed a suite of mobile games and technology that targeted ads directly to a user on his/her phone. Group System's primary product, called thinktank, is a very innovative collaboration software platform that is used by clients including IBM, NASA, PriceWaterhouseCoopers, Accenture, the Department of Defense, and Proctor and Gamble . Built as a webapp it worked across disparate browsers and OS platforms such as Mac/Windows and FireFox, Safari, IE 7/8/9 and Chrome. REDI2 supplies software as service (SAS) to the financial industry. Their primary focus is on the the billing and revenue management sector. There clients included several of the larger financial institution on Wall Street. As with many financial service based products it required both complex integration, the ability to handle large amounts of data and throughput as well as an easy-to-use UI.